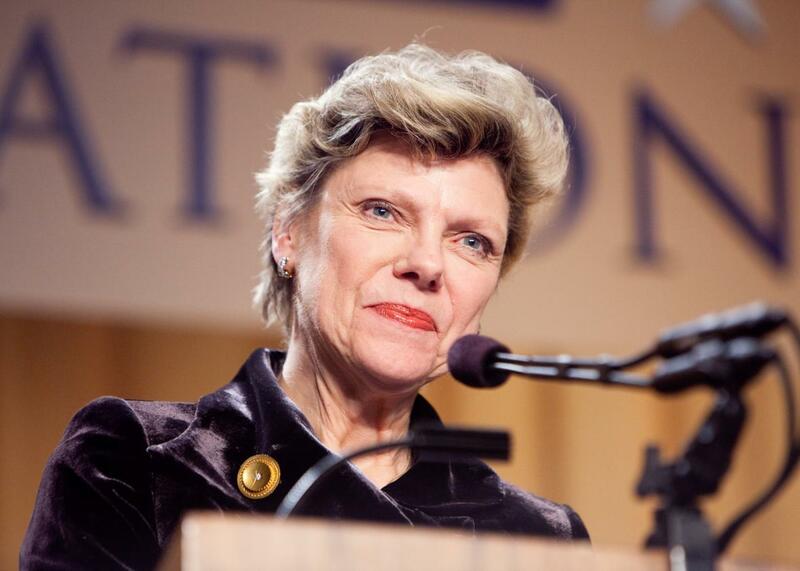 Journalist Cokie Roberts appears at the National Press Foundation’s 26th annual awards dinner on February 10, 2009 in Washington, DC. Political commentator Cokie Roberts appeared on NPR’s Morning Edition on Monday to discuss the Latino vote’s effect on the Republican Party. During her segment, she made a widely criticized joke that suggested the way for the GOP to curb Democratic-leaning trends among the rising Latino population would be through… birth control. Hosted by Steve Inskeep, the segment—which also featured remarks from Fox News pundit and Daily Caller founder Tucker Carlson—focused on how the early Latino vote could sway the election toward Democratic nominee Hillary Clinton, especially in swing states such as Nevada and Florida as well as in typically red states Texas and Arizona. Inskeep: Tucker, are Republicans headed for a yet another reckoning with how they handle the Latino vote and issues that are of concern to Latinos? Cokie: Well immigration wouldn’t do it, you’d have to do birth control to make it useful to Republicans. Inskeep: We’re not gonna touch that, we’ve just got a few seconds left! Her comment prompted immediate backlash on Twitter, with users accusing her of racism toward Latinos. Today on @NPR, @CokieRoberts said the only thing that can control the Latino vote is birth control, and that is NOT OK.
Roberts quickly responded to the criticism, offering a somewhat flippant-sounding dismissal of the idea that she might support Latino population control. This, of course, only prompted further upset. Folks, folks, folks! If course you have it wrong. I meant that there are already millions of wonderful Latinos in the country. Thank heaven! Roberts further clarified her comments in an interview with Slate. Speaking by phone, she emphasized that she was firmly anti-Trump and pro-immigration. I’m one of the world’s most pro-immigration people on earth, and have always been, and was basically making—although it was quite clearly not a very good joke—which happens at 5 o’clock in the morning live on the air… You can often be inartful at 5 o’clock in the morning. But Tucker was making the point that you’d have to stop immigration. Well, my point was, that wouldn’t do it because we already have all these wonderful Hispanics in the country. That was my point. And thank heavens for that. I am a great celebrator of American diversity and one of the reasons I’ve been so adamantly anti-Trump is that I was so offended by his announcement about Mexicans. “You can’t say, ‘He’s a racist and what he says is textbook racism, but I support him because he’s the nominee of my party,’” she said on Morning Joe.